Join us on Thursday, May 2 when the Sexual Assault Centre of Edmonton (SACE) returns to the Edmonton Convention Centre to host its 6th annual fundraising and awareness gala overlooking the beautiful River Valley. 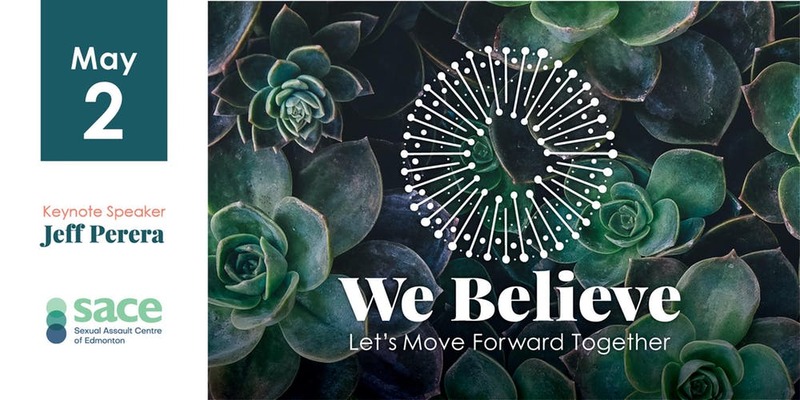 The We Believe Gala includes an evening of fine dining and exceptional homegrown entertainment, featuring Keynote Speaker Jeff Perera and Emcee Danny Hooper. All funds raised from this event will go directly towards providing essential support for people and communities impacted by sexual violence. Let’s move forward together. For more information on the event and Keynote Speakers, please visit the event listing here. Time: 5 – 9:30 p.m.